If you are planning to go on a 3 day mountain trek or camping in the woods for the weekend, having a ultralight backpack is very important. Your backpack weight determines how bulky or lighter the total load you are carrying. You need the best ultralight backpack that is easy to carry! On such trips, ensure you put your valuables in a light backpack to fully enjoy the journey and reduce fatigue that comes with a heavy backpack. 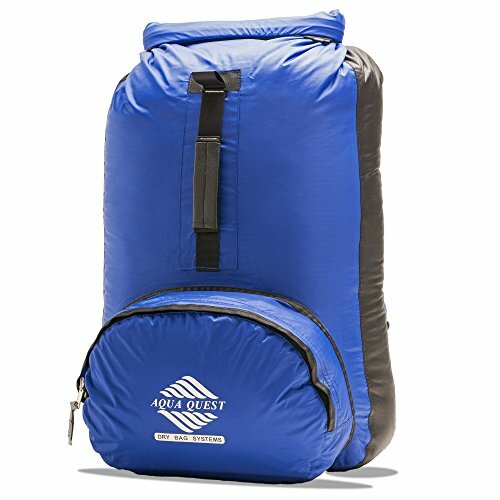 So, how to find the best ultralight backpack? 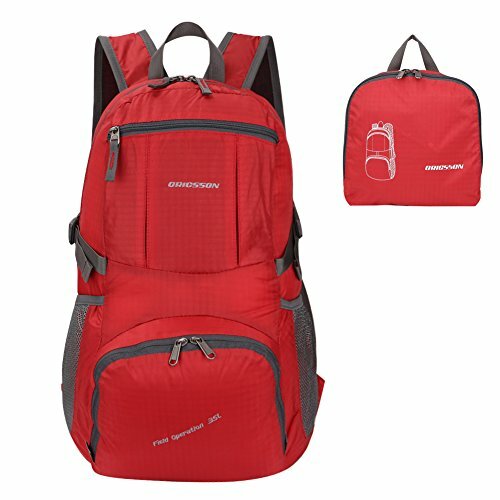 1 Why need lightest Backpack? Currently, many people are embracing the lightweight backpack for almost every outdoor activity. This is because they are light and comfortable to move around with. Since, when going on a hike or camping, you carry several items such as a tent, sleeping bag and some few items, these may prove to be heavy and having a lighter backpack just reduces the load for you. Before you pick out any lightweight backpack of your choice, consider checking out some of these key features that it should have. 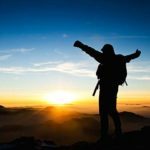 Weight – Have in mind that as you acquire your backpack, it will be one of the heaviest items you carry for your outdoor activity, be it hiking, camping or mountain trek. Ensure the bag is lightweight enough for you to move around with ease and make your trip interesting. 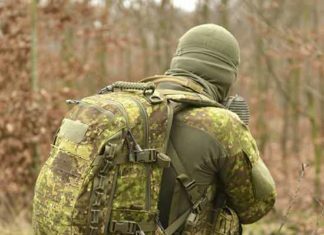 Material – in most cases, ultralight backpacks are made of one of these two materials; cuben fiber or ripstop nylon. Most manufacturers use ripstop nylon because it’s a bit cheaper compared to cuben fiber. These materials are not only light in weight, but are also very durable and with great functionality making them ideal for backpacks. Design – A great design is appealing to the eye. But many manufacturers just keep the backpack well streamlined for easy movement and carry on the back. As long as the pouches, clips, straps, compartments and zippers are all in place, the bag is great for usage. The backpacks should be simple, but with key features. Size – this is one of the greatest features of any backpack whether light or heavy, tactical or for normal usage. As you select your bag, ensure that it has the desirable size you are looking for to keep or carry your essentials as you prepare for your trip. You wouldn’t want a bag that has a lesser volume. Most of the backpacks have a volume of 20L to 50L. Choose wisely. Comfort – this sounds tricky, but it is a very crucial factor when it comes to a great backpack. To determine the backpack is comfortable or not; can be challenging, but when fully packed, one can easily rate it. Make sure you select a bag that is comfortable to carry as you climb that mountain or as you stroll in the woods searching for a camping site. Cost – the cost of the bag varies in accordance with quality. If you want a lightweight backpack that is of a high quality and very durable; then you will have to dig deeper into your pockets. Therefore, choose a bag that is durable and you can rely on to secure your valuables in case of bad weather. Main Compartment – the main compartment of your bag should be of a great size to store all your essential items. Another key feature is the Rear Mesh pouch; this helps you keep items that you might urgently need and can be easily found in this pouch. Other features include; shoulder straps, frame, hip belt pockets, shoulder pouch, waterproofing, sternum strap, load lifter strap, hydration ports, and water bottle holsters. 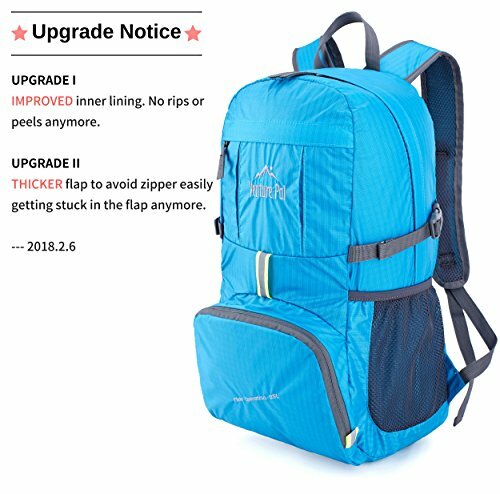 Below are some of the top ultralight backpacks list on the market. This is one of the best lightweight outdoor backpacks. This Aqua quest is 100% waterproof and in addition it will secure your particulars from sand, dirt, water or even snow. Aqua quest is very light in weight with only 1.1 lbs. It is made of a 70D ripstop fabric, TPU lamination and heat taped seams. It is comfortable to carry as its waist and shoulder straps can all easily be adjusted. In addition, the air mesh back panel is soft and breathable which ensures the backpack is comfortable to be carried all day. It can easily be folded into its zippered pocket and unfolded back into a backpack promptly. This amazing ultralight backpack is ideal for travelers, hikers, athletes, bikers and even campers. This is one of the best foldable, lightweight backpacks that you will find in the market. It comprises of a high quality nylon material that is lightweight, waterproof and tear resistant. Also, the bag is durable with the two-way abrasion resistant SBS metal zipper, very comfortable and convenient to carry around. It is light in weight, weighing only 0.7 pounds with a large space of 35L. It has various storage pockets and 2 phone pockets on the surface of the backpack. Oricsson bag is very comfortable and convenient to carry with the wide breathable mesh shoulder straps and simple to change length and lock steadily. It can be folded into zippered inner pocket to fit anywhere and unfolds from pocket to backpack. This gives it the compactness and makes it suitable for use in camping, outdoors, traveling, biking, school and everyday carry tools. The Venture Pal lightweight backpack is one of the best ultralight backpack on the market. It is very durable as it is made from nylon which is a high quality tear and water resistant material; which offers extra additional strength and a long-lasting performance with the least weight possible. The double-layer bottom piece that the backpack consists of make it convenient to carry extra loads on your trip. Furthermore, the heavy duty two-way SBS metal zippers across the backpack are ideal to function on any side you opt for. The backpack is comfortable with the breathable shoulder straps and the plentiful sponge padding assisting to lower the stress on your shoulders. The multi-compartments help you to properly store and keep your valuables well arranged. It is lightweight, weighing only 0.7 pounds and has a large space of 35L. The bag folds into the zipped inner pocket to fit anywhere and unfolds from pocket to backpack instantly. It is great for camping, hiking, school, travelling and other outdoor activities. If you want a backpack that will best suit you for your different travel needs, then the Gowiss ultralight backpack is the real deal. It is made of a nylon material which is of a high quality, and it is both water and tear resistant. 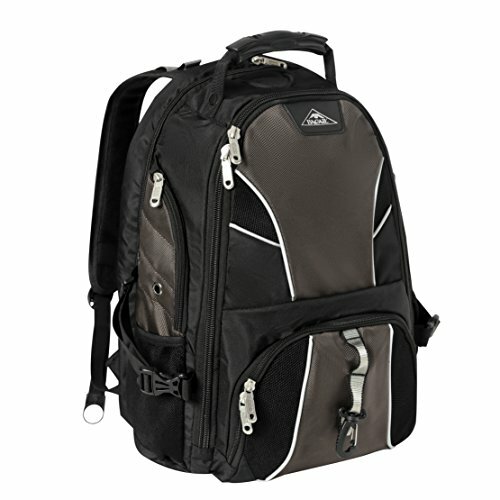 It has a durable two-way abrasion resistant ykk material metal zipper across the backpack. With 0.5 pounds, this Gowiss bag is light in weight and has enough space of 33L. It is of a great design with several pockets for keeping your valuables well organized. Gowiss is compact and can be folded into zippered inner pocket to fit anywhere and at the same time unfolded from pocket to backpack. It can be applied for day hikes, school, travel, camping, trips, shopping and vacations. 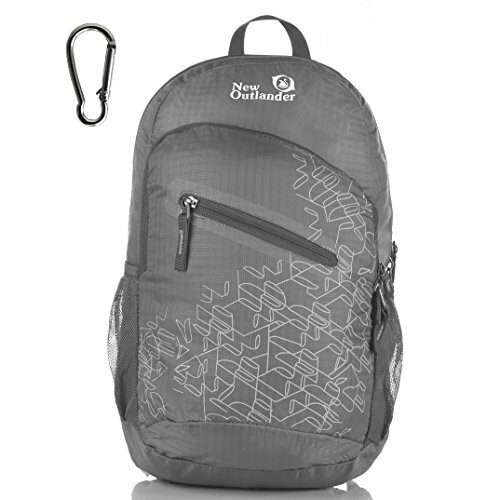 As stylish as it appears, the Outlander packable backpack is a very great backpack for using on a day-to-day basis. The bag folds into inner pockets to fit anywhere and unfolds from pocket to backpack giving it a compact shape. It has multi-compartments that are characterized with a classic style and various pockets for storage. It has a large main compartment, two front zipper pockets use to keep small items. A single internal protective zippered pocket for vital products and two side pockets for holding either an umbrella or water bottle. The Outlander Packable is also lightweight with 0.5 pounds and very spacious making it desirable for carrying several items. Another important feature of this lightweight backpack is that it is durable as it is created from nylon fabric which is very rip and water resistant. It as well offers strength and long-lasting performance for its user.